In 1961, Janssen Pharmaceutica was purchased by New Jersey-based American corporation Johnson & Johnson, and became part of Johnson & Johnson Pharmaceutical Research and Development (J&J PRD), now Janssen Research and Development (JRD), which conducts research and development activities related to a wide range of human medical disorders, including mental illness, neurological disorders, anaesthesia and analgesia, gastrointestinal disorders, fungal infection, HIV/AIDS, allergies and cancer. Janssen and Ortho-McNeil Pharmaceutical have been placed in the Ortho-McNeil-Janssen group within Johnson & Johnson. The early roots of what would become Janssen Pharmaceutica date back to 1933. In 1933, Constant Janssen, the father of Paul Janssen, acquired the right to distribute the pharmaceutical products of Richter, a Hungarian pharmaceutical company, for Belgium, the Netherlands, and Belgian Congo. On 23 October 1934, he founded the N.V. Produkten Richter in Turnhout. In 1937, Constant Janssen acquired an old factory building in the Statiestraat 78 in Turnhout for his growing company, which he expanded during World War II into a four-storey building. Still a student, Paul Janssen assisted in the development of Perdolan. After the war, the name for the company products was changed to Eupharma, although the company name Richter would remain until 1956. Paul Janssen founded his own research laboratory in 1953 on the third floor of the building in the Statiestraat, still within the Richter-Eurpharma company of his father. In 1955, he and his team developed their first drug: Neomeritine (ambucetamide), an antispasmodic found to be particularly effective for the relief of menstrual pain. On 5 April 1956, the name of the company was changed to NV Laboratoria Pharmaceutica C. Janssen (named after Constant Janssen). On 27 April 1957, the company opened a new research facility in Beerse, but the move to Beerse would not be completed until 1971-1972. On 2 May 1958, the research department in Beerse became a separate legal entity, the N.V. Research Laboratorium C. Janssen. On 24 October 1961, the company was acquired by the American corporation Johnson & Johnson. The negotiations with Johnson & Johnson were led by Frans Van den Bergh, head of the Board of Directors. On 10 February 1964, the name was changed to Janssen Pharmaceutica N.V. and the seat of the company in Turnhout was also transferred to Beerse. The company was led by Paul Janssen, Bob Stouthuysen and Frans Van Den Bergh. When, in 1971-1972 the pharmaceutical production also moved to Beerse, the move from Turnhout was completed. Between 1990 and 2004, Janssen Pharmaceutica expanded worldwide, and the company grew in size to about 28000 employees worldwide. From the beginning, Janssen Pharmaceutica emphasized as its core activity research for the development of new drugs. The research department which was established in Beerse in 1957, developed into a large research campus. In 1987, the Janssen Research Foundation (JRF) was founded which performs research into new drugs at Beerse and in other laboratories around the globe. Janssen Pharmaceutica became the Flemish company with the largest budget for research and development. Beside the headquarters in Beerse with its research departments, pharmaceutical production and the administrative departments, Janssen Pharmaceutica in Belgium still has offices in Berchem (Janssen-Cilag), a chemical factory in Geel, and Janssen Biotech in Olen. The Chemical Production plant in Geel makes the active ingredients for the company’s medicines. In 1975, the first plant of a new chemical factory Plant I was established in Geel, Plant II was opened in 1977, Plant III' in 1984, and Plant IV in 1995. In 1999 the remaining chemical production in Beerse was transferred to Geel. 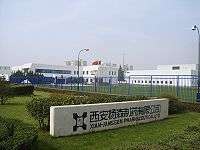 About 80% of its active components are manufactured here. The site in Geel also manufactures about two-thirds of the worldwide chemical production of the pharmaceutical sector of Johnson & Johnson. In 1995, the Center for Molecular Design (CMD) was founded by Paul Janssen and Paul Lewi. In 1999, clinical research and non-clinical development become a global organization within Johnson & Johnson. In 2001, part of the research activities was transferred to the United States with the reorganization of research activities in the Johnson & Johnson Pharmaceutical Research Development (JJPRD) organization. The research activities of the Janssen Research Foundation (JRF) and the R.W. Johnson Pharmaceutical Research Institute (PRI) (United States) were merged into the new global research organization. A new building for pharmaceutical development was completed in Beerse in 2001. In 2002, a new logistics and informatics centre was opened at a new site, Beerse 2. In 2003 two new research buildings were constructed, the Discovery Research Center (DRC), and the Drug Safety Evaluation Center (DSEC). On 27 October 2004, the Paul Janssen Research Center, for discovery research, was inaugurated. The success of Janssen Pharmaceutica is commonly attributed to the vision of its founder, who himself was a brilliant scientist, but was also surrounded by talented and motivated employees, both scientifically and commercially. Paul Janssen created an environment which stimulated the creativity of his research workers. In March 2015, Janssen licensed tipifarnib (a farnesyl transferase inhibitor) to Kura Oncology who will assume sole responsibility for developing and commercialising the anti-cancer drug. Later in the same month the company announced that Galapagos Pharma and regained the rights to the anti-inflammatory drug candidate GLPG1690 as well as two other compounds including GLPG1205 (a first-in-class inhibitor of GPR84). In May 2016, the company launched a collaboration MacroGenics and their preclinical cancer treatment, MGD015. The deal could net MacroGenics more than $740 million. Juries in several US states have found that Janssen Pharmaceutical and its parent company Johnson & Johnson deceptively promoted the antipsychotic drug Risperdal (risperidone). States that have awarded damages include Texas ($158 million), South Carolina ($327 million), Louisiana ($258 million), and most notably Arkansas ($1.2 billion) - the Attorney General stated: “These two companies put profits before people, and they are rightfully being held responsible for their actions". 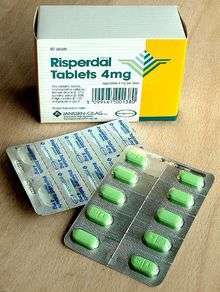 In addition, the United States Department of Justice has been investigating Risperdal sales practices since 2004, and in 2010 joined a whistleblowers suit alleging bribes paid to Omnicare, the largest company supplying pharmaceutical drugs to nursing homes. The allegations include that J&J and Janssen were warned by the U.S. Food and Drug Administration (FDA) not to promote Risperdal as effective and safe for elderly patients when in fact it is associated with early death, but they did so; and that they in fact bribed Omnicare pharmacists tens of millions of dollars to promote the drug to care home physicians for this unapproved use. A settlement has been provisionally agreed with J&J of around $2.2 billion for this and related allegations, with Omnicare having already settled for around $100 million. Former head of sales and president of Janssen, Alex Gorsky, who the Dept of Justice say “was actively involved” in the fraud, has nevertheless become the new CEO of Johnson & Johnson. In 1976 Paul Janssen had met the Lebanese-American doctor George Shafik Hatem (1912–1988) who was known in China under the name Ma Haide. Paul Janssen met with Ma Haide for three days in 1976, and decided to start a business in China after the Cultural Revolution (1967–1976) and the opening to the west by Deng Xiaoping in 1978. The first factory was set up by Joos Horsten in Hanzhong, after which the second and larger factory followed in Xi'an. R33799 carfentanil Wildnil 1976 1980? Bedaquiline is an diarylquinoline anti-tuberculosis drug, discovered by Koen Andries and his team, which promises a shorter and simpler treatment for multi-drug-resistant tuberculosis (MDR-TB). ↑ "Janssen, MacroGenics Launch Up-to-$740M+ Second Collaboration". GEN.
↑ Singer, Natasha (15 January 2010). "Johnson & Johnson Accused of Drug Kickbacks". The New York Times. Retrieved 17 January 2010. ↑ Janssen PA, Eddy NB (1960). "Compounds related to pethidine-IV new general chemical methods of increasing the analgesic activity of pethidine" (PDF). J Medicinal Pharma Chem. 2 (1): 31–45. doi:10.1021/jm50008a003. PMID 14406754. Retrieved 2010-09-27. ↑ Janssen PA, Niemegeers CJ, Dony JG (1963). "The inhibitory effect of fentanyl and other morphine like analgesics on the warm water induced tail withdrawal reflex in rats" (PDF). Arzneimittel-Forschung (Drug Research). 13: 502–7. ISSN 0004-4172. PMID 13957426. Retrieved 2010-09-27. ↑ Janssen PA, Niemegeers CJ, Schellekens KH, Verbruggen FJ, Van Nueten JM (1963). "The pharmacology of dehydrobenzperidol, a new potent and short-acting neuroleptic agent chemically related to haloperidol". Arzneimittel-Forschung (Drug Research). 13: 205–11. ISSN 0004-4172. PMID 13957425. ↑ Doenicke A, Kugler J, Penzel G, Laub M, Kalmar L, Kilian I, Bezecny H (1973). "[Cerebral Function under Etomidate, a New Non-Barbiturate I.V. Hypnotic]". Anaesthesist (in German). 22 (8): 353–66. ISSN 0003-2417. PMID 4584133. Retrieved 2010-09-27. ↑ Morgan M, Lumley J, Whitwam JG (1975). "Etomidate, a new water-soluble non-barbiturate intravenous induction agent". The Lancet. 305 (7913): 955–6. doi:10.1016/S0140-6736(75)92011-5. PMID 48126. Retrieved 2010-09-27. ↑ Niemegeers CJ, Schellekens JH, van Bever WF, Janssen PA (1976). "Sufentanil, a very potent and extremely safe intravenous morphine-like compound in mice, rats and dogs". Arzneimittel-Forschung (Drug Research). 26 (8): 1551–6. ISSN 0004-4172. PMID 12772. ↑ Spierdijk J, van Kleef J, Nauta J, Stanley TH, de Lange S (1980). "Alfentanil: a new narcotic induction agent". Anesthesiology. 53: S32. doi:10.1097/00000542-198009001-00032. ↑ Niemegeers CJ, Janssen PA (1981). "Alfentanil (R39209)-a particularly short acting intravenous narcotic analgesic in rats". Drug Development Research. 1: 830–8. doi:10.1002/ddr.430010111. ISSN 0272-4391. ↑ De Vos V (1978). "Immobilisation of Free-ranging Wild Animals Using a New Drug". Veterinary Record. 103 (4): 64–8. doi:10.1136/vr.103.4.64. PMID 685103. Retrieved 2010-09-27. Magiels, Geerdt (2004). Paul Janssen – Pionier in farma en in China (in Dutch). Antwerp, Amsterdam: Houtekiet. ISBN 978-90-5240-827-9.